Get a Free Walmart e-Gift Card when you buy $15 in Quaker Products! This is a sponsored post. We were invited to write about Quaker by ShopHer Media Influencer Marketing Agency. 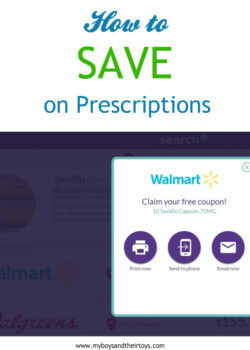 Walmart is a one-stop shop for all your family’s needs, and right now you can earn a free Walmart e-gift card with this awesome deal! 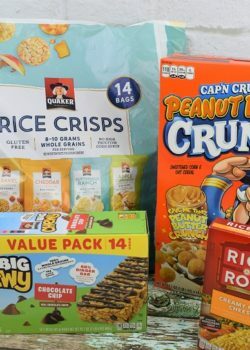 Quaker® has teamed up with Walmart to offer its customers a $5 E-Gift Card with the purchase of $15 in Quaker products in a single transaction. Keep reading to find out how! 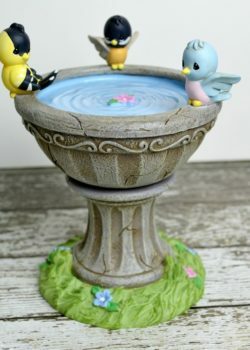 Stock Up On Toys at Old Time Pottery! The Home Store with More is a one-stop shop for all your gifting needs! The boys and I headed to Old Time Pottery to stock up on toys for the season. 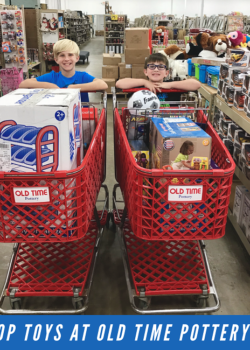 We had one mission: find toys for kids in need. 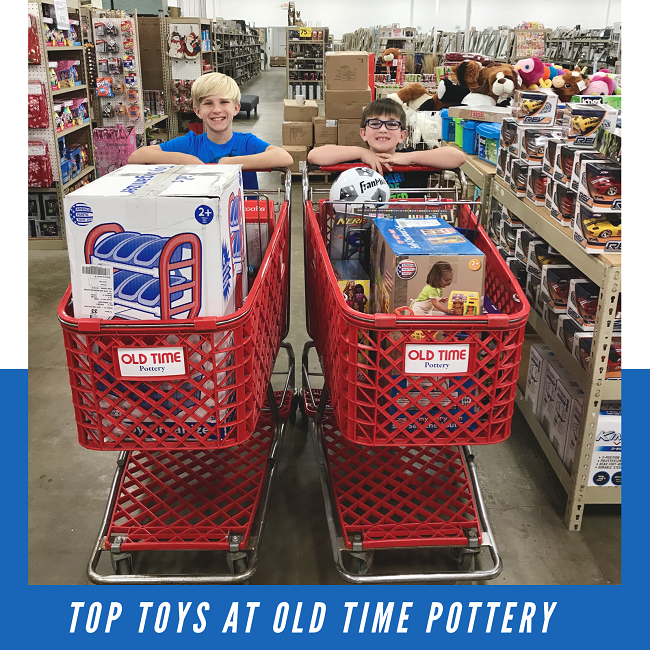 With such a large variety of toys available from top brands like Fisher Price to Hasbro, shopping at Old Time Pottery was a breeze! Are you hosting friends and family this summer? 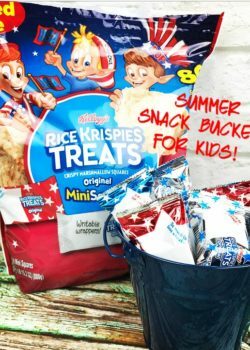 Stock up on these cookout essentials like easy summer snacks for kids, BBQ chicken, drinks and more! 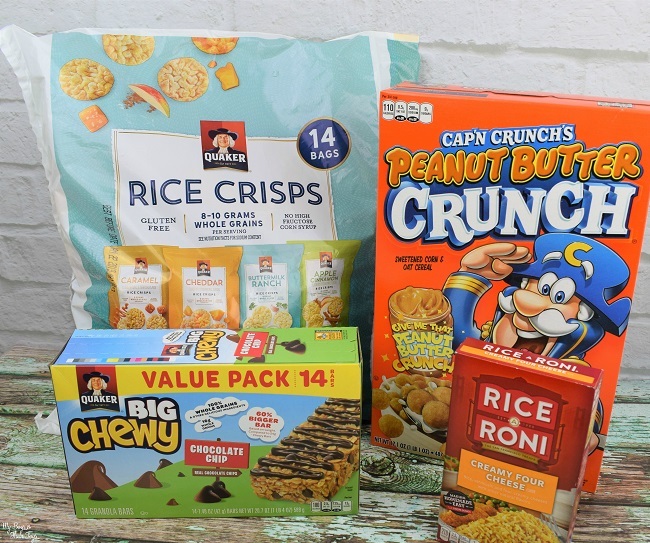 Sam’s Club has everything you need to pull off the best summer party. Check out the #SamsGrillAndChill deals already at great, low prices right now! 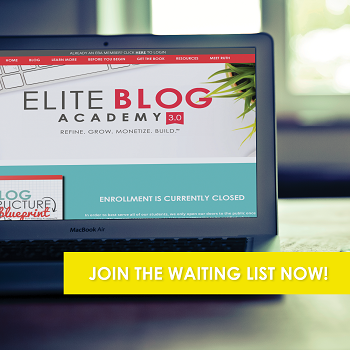 You guys – I have something really exciting to share! 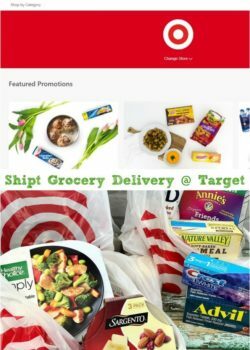 You can now order groceries from Target and have them delivered in as quickly as one hour after ordering. Yesss – it’s true! Shipt grocery delivery handles all of your needs – everything from fresh foods and household essentials to frozen foods too. You simply shop through the mobile or desktop app and your items can arrive at your convenience. I used the grocery delivery service the other day and I am sold! 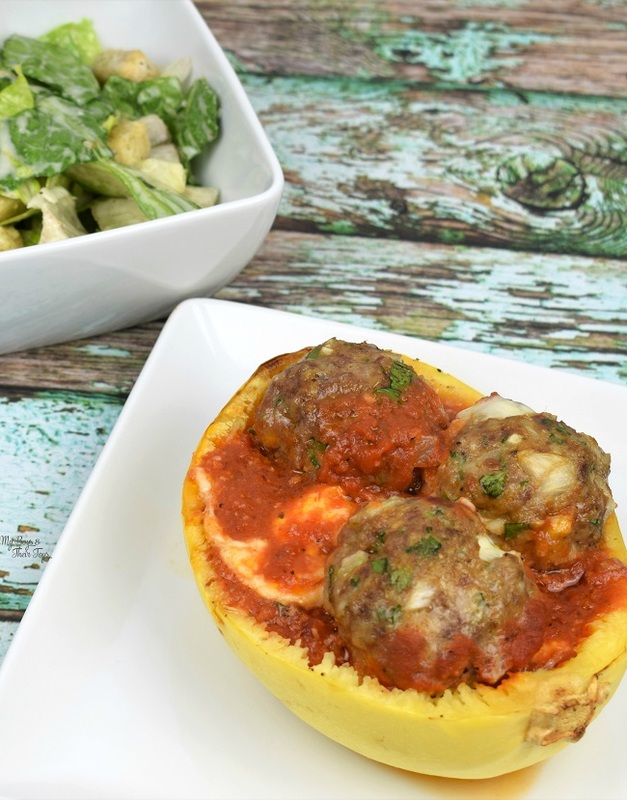 Hear more about my experience, plus this amazing spaghetti squash meatballs recipe I was able to put together with the time I saved by not shopping in store. Thank you to shipt.com for kindly sponsoring this post. All opinions are 100% honest & completely my own. 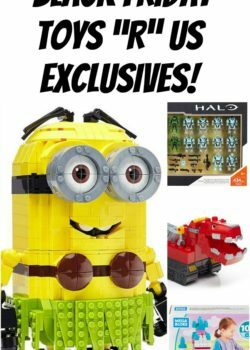 Mega Construx™ Black Friday Toys “R” Us Exclusives! It’s that time of year again to shop until you drop! 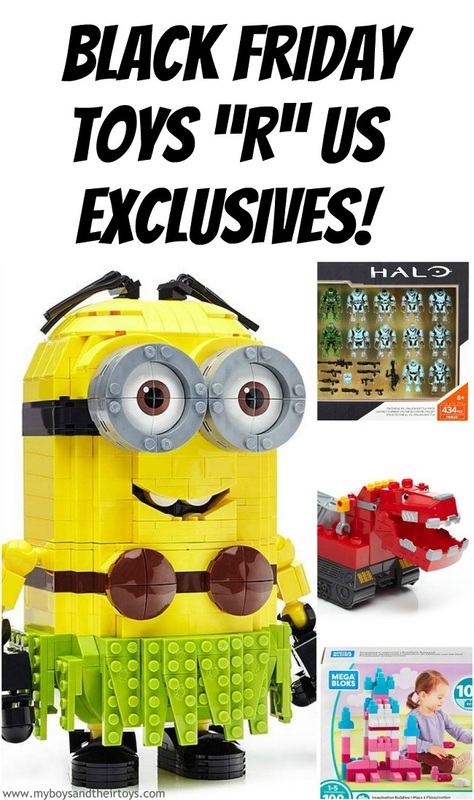 Get prepped for all the best Black Friday deals with this exclusive toy list! 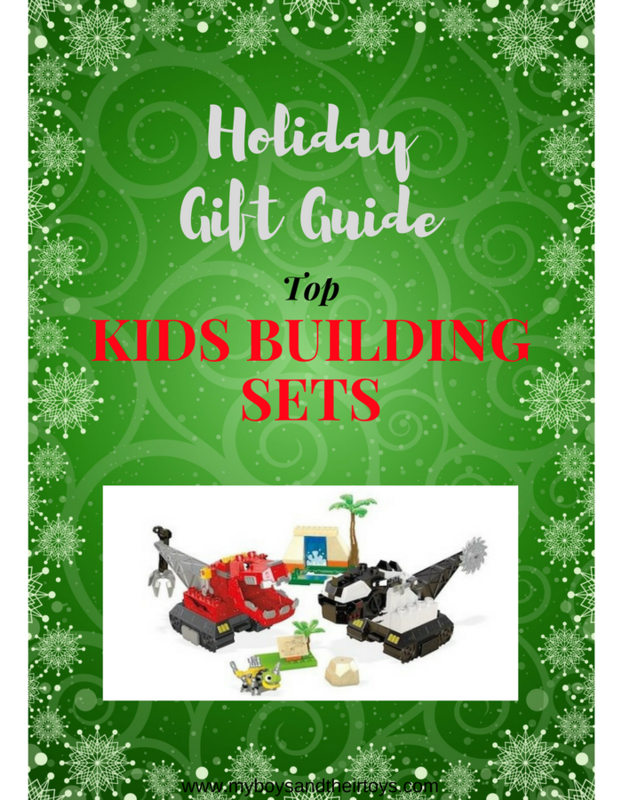 Who’s ready to save 50 – 60% off toys? 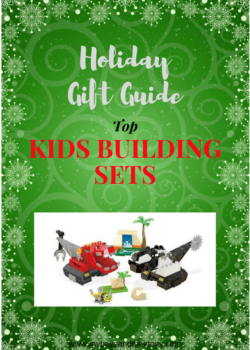 After enjoying your traditional family meal, prep your shopping trip with these Mega Construx™ Black Friday Toys “R” Us exclusives, then grab your favorite cup of Joe and head out the door. Black Friday Toys “R” Us Exclusive – 60% off!! Can you believe how fast summer break is flying by? With just 2 weeks left until school begins, it was time to shop for back to school. I don’t know about your kids, but anytime my boys can pick out new clothes and shoes it brightens their day. 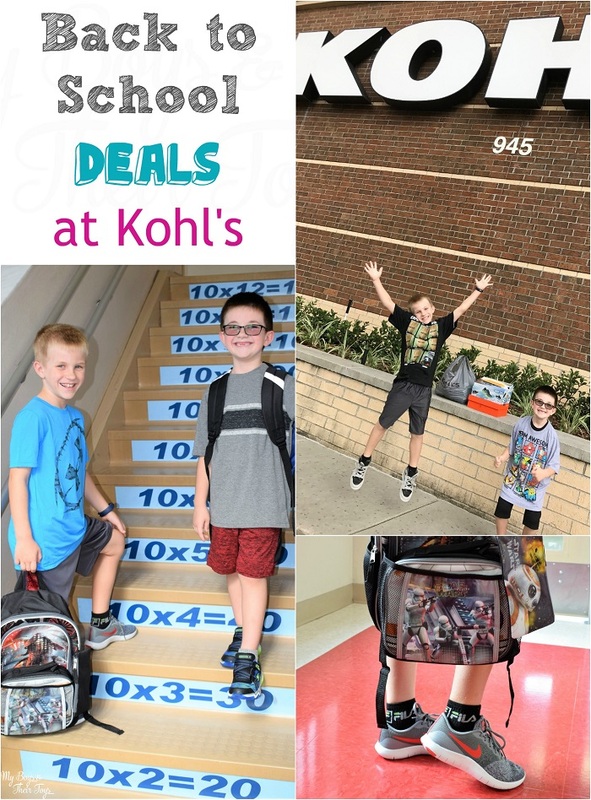 We headed to Kohl’s for back to school clothes on sale, and found great deals on backpacks, shoes and more! 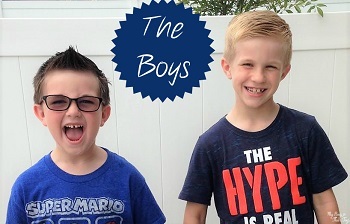 Check out their cool styles, and grab a Kohl’s promo code to save when you shop for school necessities. Wondering where to take dad for Father’s Day? Consider Carrabba’s Italian Grill! During Father’s Day weekend, you can enjoy a special gift card promotion and menu, like this Sicilian Ribeye pictured below. This is Italian food worth talking about! Read on for more details about the special menu and gift card deal. This is a partnered post. All opinions are my own. Carrabba’s has provided the giveaway prize. Did you know it’s $10 Tuesday? That’s right – your family can enjoy a freshly made large pizza for just $10. Papa Murphy’s provides weeknight meals for busy families every Tuesday, and boy are they delicious! Life throws us a lot of curve balls, but dinner doesn’t have to be one of them. 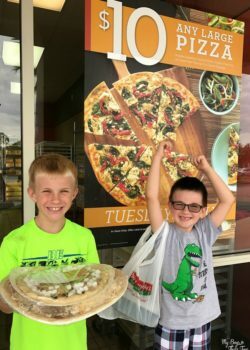 Papa Murphy’s makes meal time, especially for busy Moms, easy. Even more importantly, Papa Murphy’s makes Moms feel good about the food that they are serving their family. Let’s face it, prescription medications can be expensive. Americans spend nearly 400 billion on prescriptions every year. That’s billion with a B! With prescription prices and insurance deductibles increasing each year, it can be challenging to pay for medical expenses. Thankfully, there’s a simple solution for reducing your out of pocket prescription costs, and the best part is – it’s FREE! 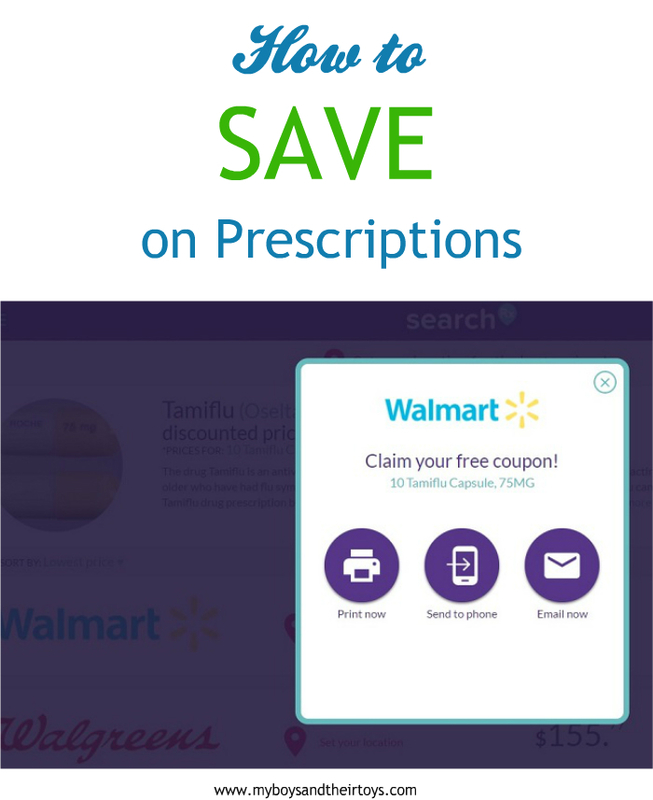 Want to know how to save on prescriptions? Read on for details! This is a partnered post with SearchRx. All opinions are my own. 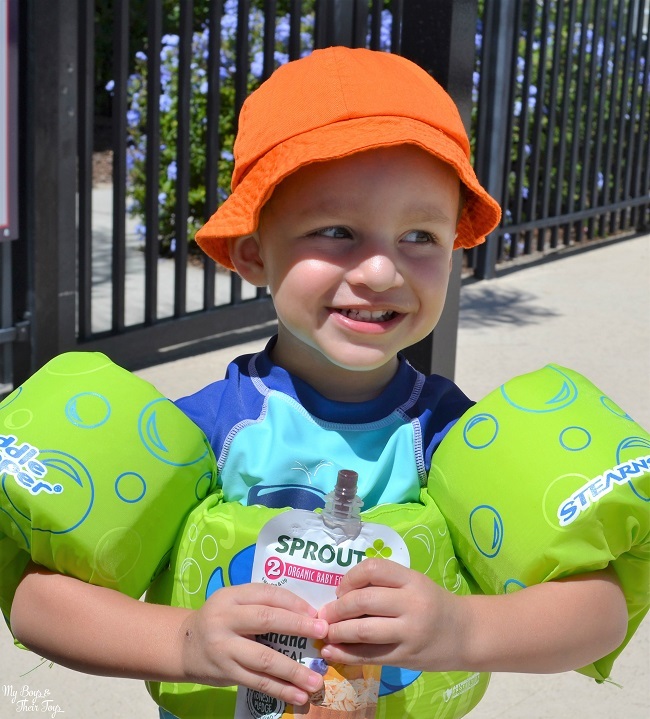 Preschool Pass = FREE Admission for your child to Seaworld & Busch Gardens Tampa! SeaWorld Orlando is celebrating the new year and families with young kids with a limited-time offer. Children five and younger can explore SeaWorld Orlando and Busch Gardens Tampa for FREE throughout 2017 with the return of the Preschool Pass. 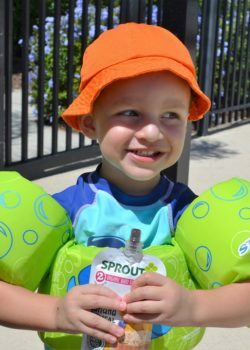 Free admission to SeaWorld Orlando and Busch Gardens with the Preschool Pass! Want to host a stress-free holiday party? You’re in luck! We’re sharing five ways to save time during the holidays with these holiday hosting tips. I’ll give you a big hint – one way to save time in the kitchen is by pre-ordering some or all of the party food. 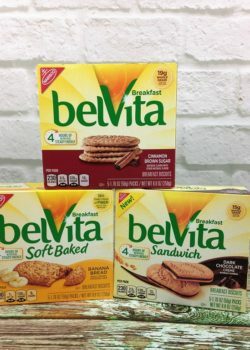 Read on for details, plus a HoneyBaked Ham coupon to save! 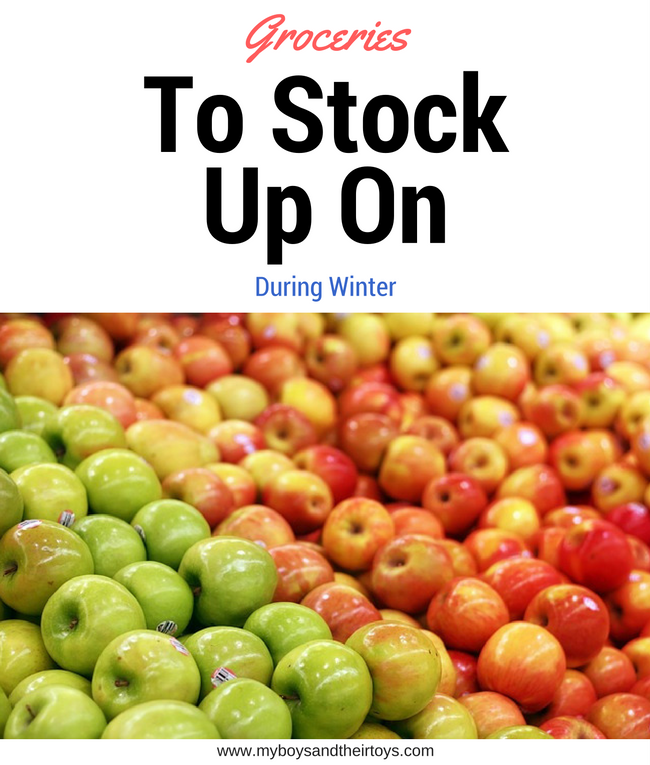 Looking for the best prices on certain items during the winter months? You’ve come to the right place. 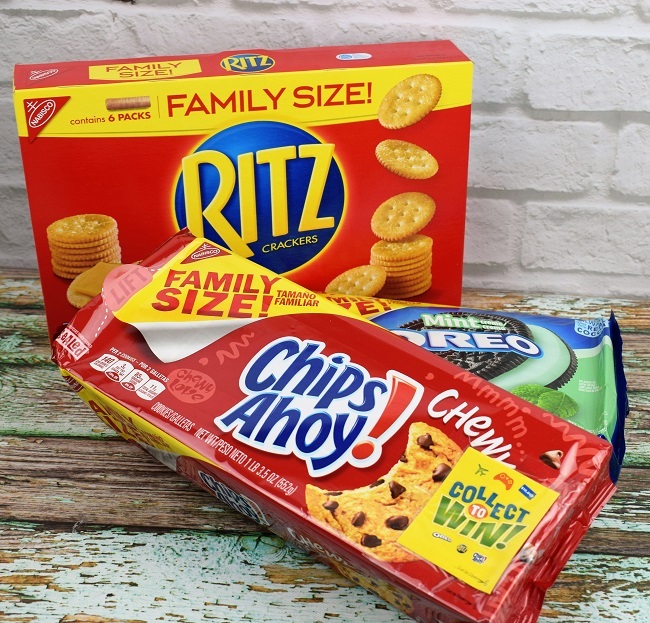 The months of November through January typically have an influx of friends and family visiting, which means you need to stock up on seasonal favorites. 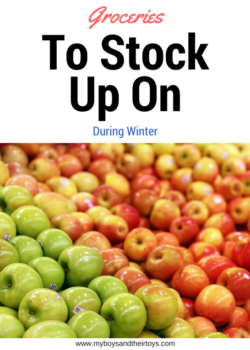 Today, I’m sharing a list of the top groceries items to stock up on during the winter season. This post brought to you by Sprout Organic Foods . The content and opinions expressed below are that of My Boys and Their Toys. 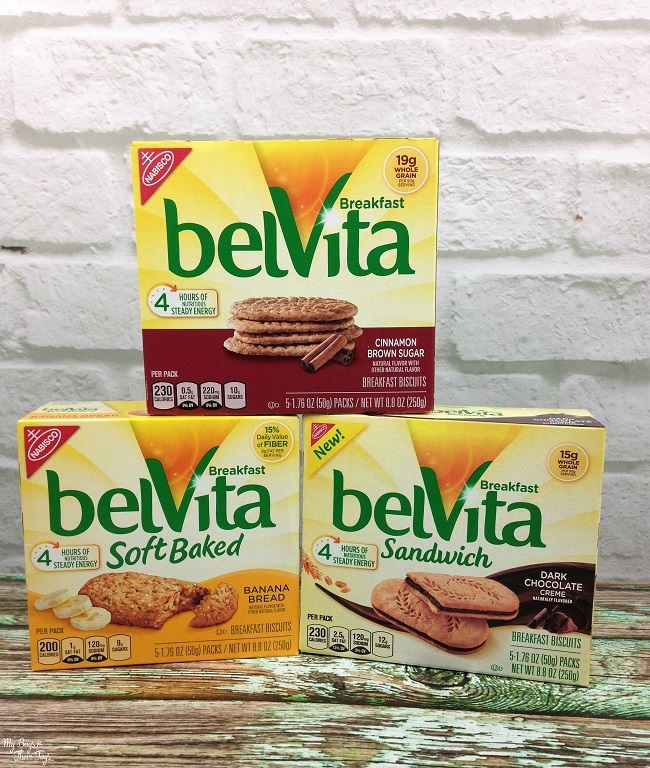 All moms want the best for their children – that includes the best nutrition. Research shows that developing a love of healthy foods early on helps foster healthy eating habits for life. That’s why Sprout Organic Foods is committed to providing the best nutrition and uses only certified-organic, non-GMO ingredients like whole fruits, vegetables and grains. 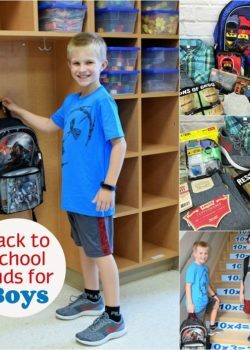 Excitement for back to school can be heard in the giddiness of children picking out their new school clothes and supplies, the rolling of the shopping carts across the tile floors, and click of cameras everywhere as parents snap pictures of their children on the first day. Today, I want to point out one more thing that should be considered at back to school time. Sight and sound play a huge role in a childs’ education, therefore it’s important for us as parents to guarantee they have the best possible chance at success. 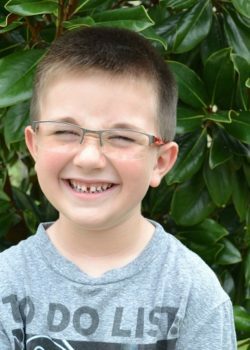 One way to do that is by taking your child in for an eye exam. 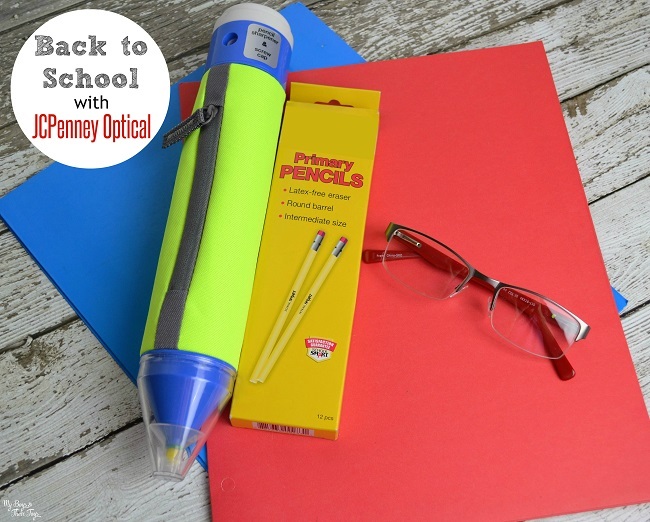 How can JCPenney Optical help during back to school? 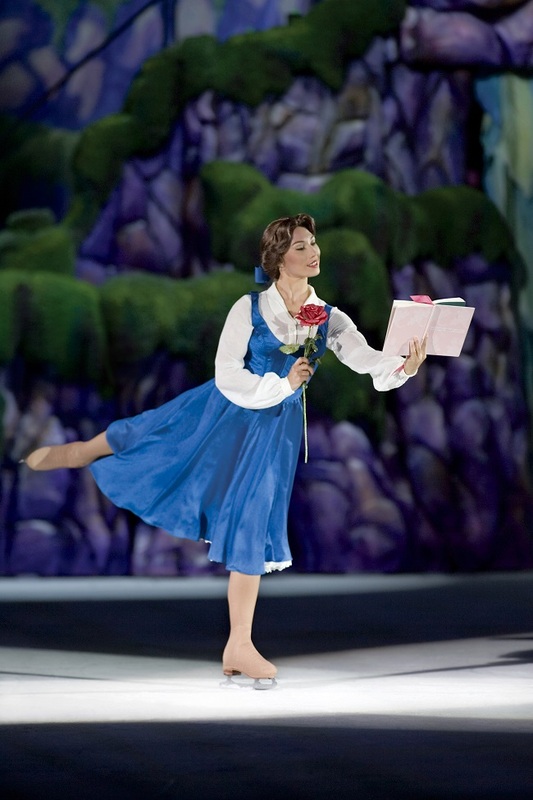 Disney On Ice Follow Your Heart + Coupon Code! 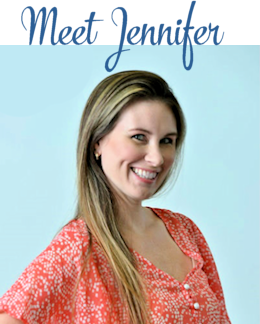 I am a Feld Entertainment Blogger Ambassador. In exchange for my time and efforts Feld Entertainment has provided me with complimentary tickets to Disney on Ice & provided 1 giveaway prize. Make unforgettable memories with Mickey, Minnie and all your Disney friends when Disney On Ice Follow Your Heart skates into your hometown! Disney On Ice presents Follow Your Heart is bringing Disney•Pixar’s record-breaking animated feature Finding Dory to the ice for the first time in this live production produced by Feld Entertainment. 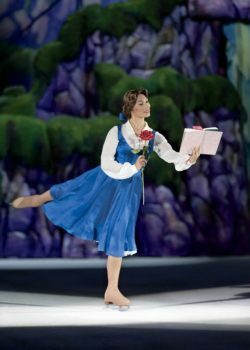 The ice skating extravaganza featuring Disney•Pixar’s Inside Out, Disney’s Frozen and other beloved Disney stories may be coming to a city near you! Back to school shopping time is about to begin! 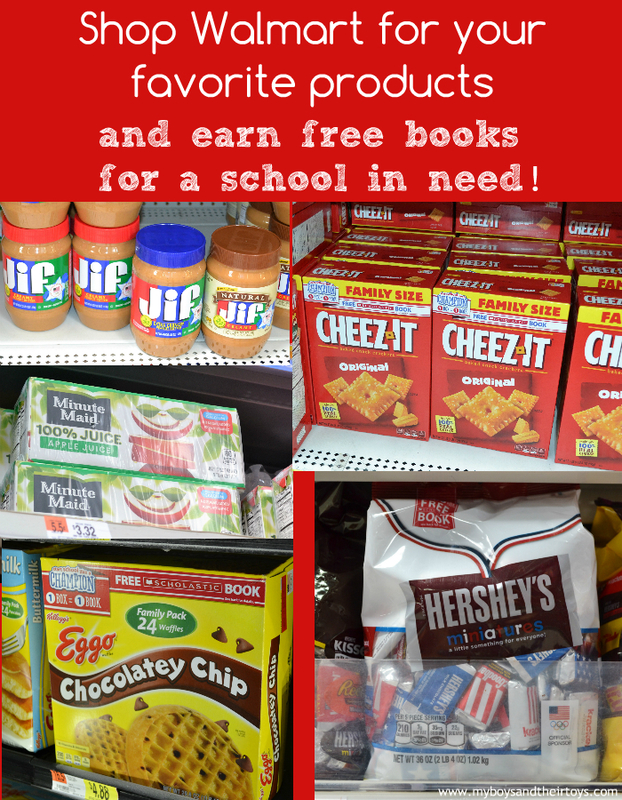 While checking off that classroom supply list, and updating your child’s wardrobe styles, make sure to head over to the Walmart food aisle too! 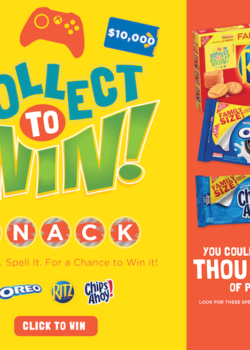 Team USA sponsors Coca-Cola®, Kellogg’s®, HERSHEY’S, and ©/® The J.M. Smucker company have teamed up with Scholastic to create the Walmart exclusive “Start School Like a Champion” program. 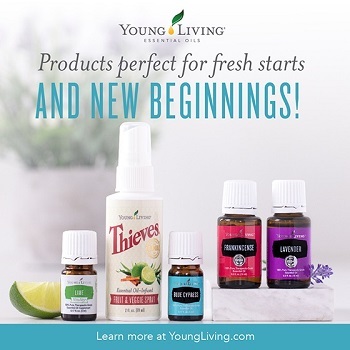 When you purchase some of your favorite products from brands you love, you can earn up to 90 free books! 1 item = 1 book. Pretty awesome, right? I am a Restaurant.com #ReviewCrew Ambassador. All opinions are my own. 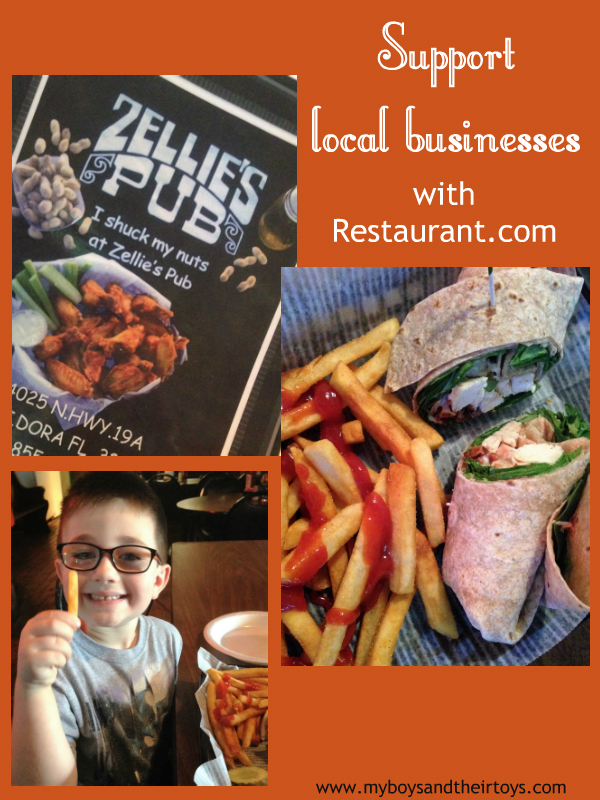 Are you looking for ways to save on dining out? 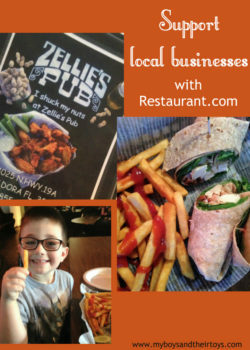 For families and couples on a budget, Restaurant.com offers an abundance of restaurant coupons in your area. Whether you’re dining locally or traveling, you can search their website for local restaurant deals. 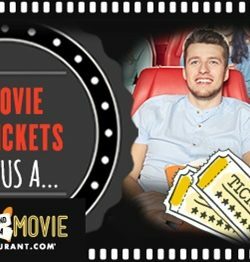 Dinner and a Movie Deal for Only $30! 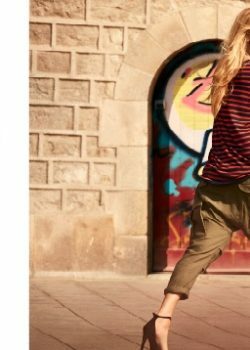 Wow – this is a steal of a deal! 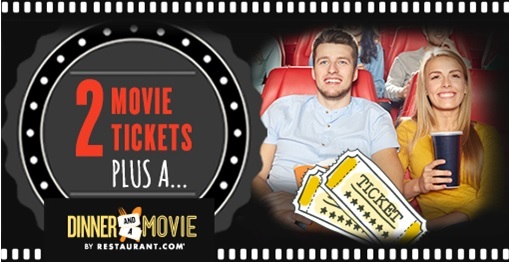 Now through Sunday June 19th, you can score dinner and a movie for just $30 with Restaurant.com‘s special! 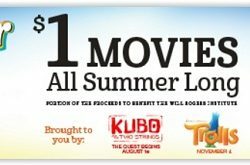 2016 Regal Summer Kids Movies – Only $1! 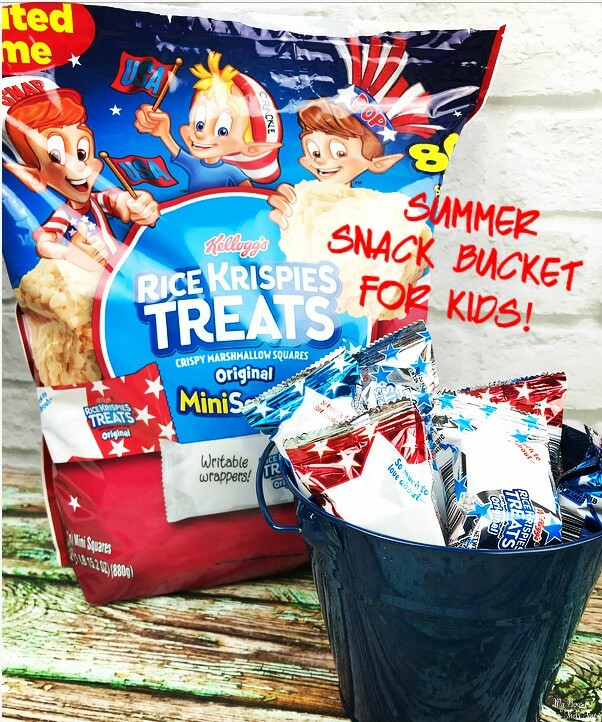 Are you looking for ways to keep the kids entertained all summer long? 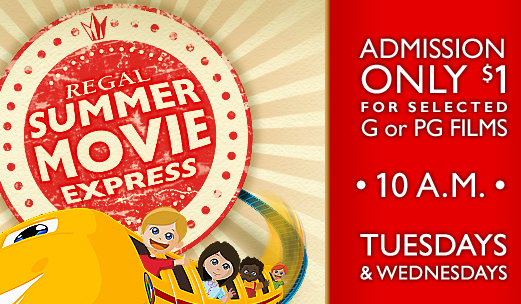 Regal Cinemas offers a great program called the Summer Movie Express where all kids movies are only $1! Visit theaters any Tuesday or Wednesday morning at 10 am to take part in this great summer deal. Two G or PG rated films play each day so if you visit the theater twice in one week you can see both movies. The Summer Movie Express runs from 6/7 through 8/3. 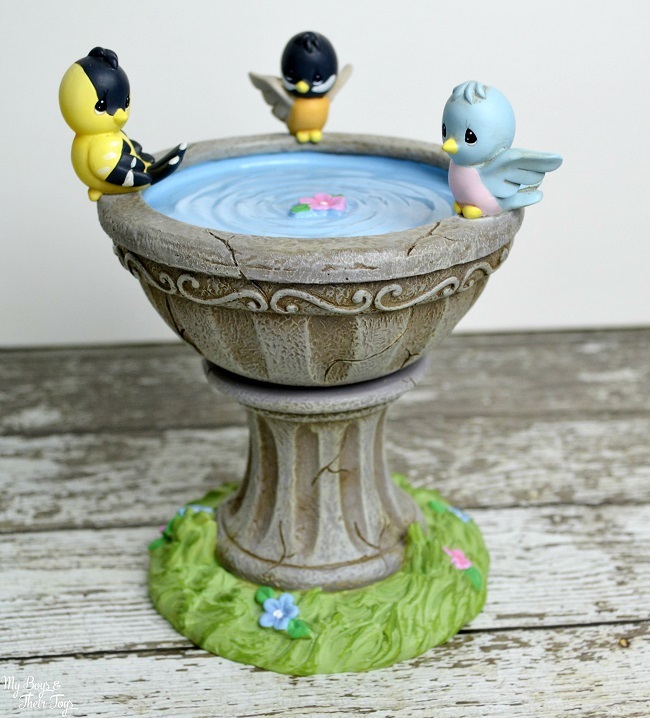 35 Day Sale Event on Precious Moments Collectibles! Thanks to today’s sponsor Precious Moments. All opinions are my own. One of our family traditions is collecting Precious Moments figurines. As a child I remember staring at the unique collectibles inside the china cabinet. There were so many of them and the collection continued to grow as I did. Once older, some of those precious figurines were passed down to me and I proudly display them in my dining room. Do you know someone who collects Precious Moments figurines? You’re in luck! 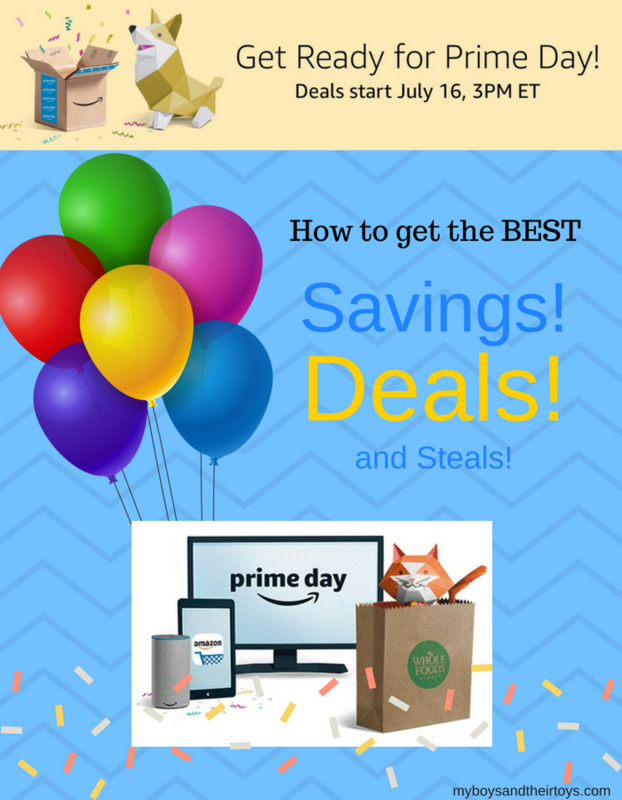 Right now they are hosting a 35 day sale! Introducing the CYBEX Gold Baby Gear line at BuyBuy Baby! BuyBuy Baby offers a wide range of baby gear for every parenting style! When I was expecting, one of the funnest parts of that journey was creating our baby registry. 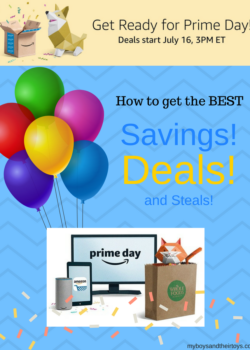 Whether you’re looking for baby toys, stroller gear or a new car seat for baby, BuyBuy Baby has you covered. Speaking of gear – have you seen the CYBEX Gold line? 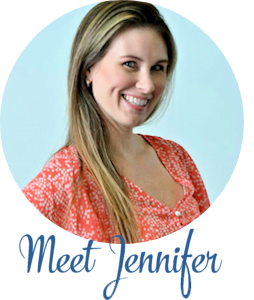 Their products include the award-winning Aton Q infant car seat, Aton 2 car seat, Balios M travel system, and Agis M-Air3 travel system. 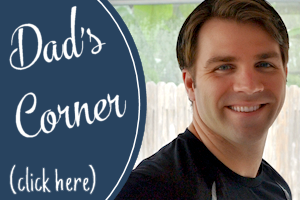 I’m a Restaurant.com Review Crew Ambassador! All opinions are mine alone. 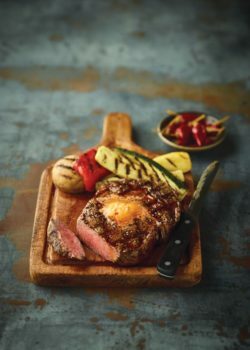 Do you often visit non-chain restaurants when dining out? Why or why not? When a customer supports a local business often times it comes with many benefits, including improving the local economy, feeling a sense of community, and often times better customer service.